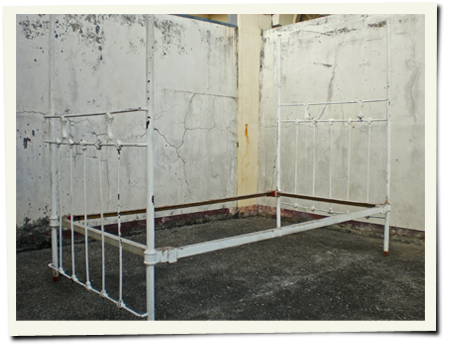 I took possession of this old iron twin-sized bed that has not been used for years. It belonged to my grandmother and is kept in one of the rooms downstairs. Now if this bed is not from 1930's or 40's then it might be from the late 19th Century. Cool huh? The support is made of woven plastic with a solihiya pattern attached to a wooden frame. But the frame is broken and the weaving is now loose and sagging. It will take much effort to fix or replace it. So instead I had bed slats made from angle bars in 3 sections for portability. I had them fabricated in Cavite for Php 2,500. The tip of the posts has no finials. Maybe the posts originally supported metal beams of a fabric canopy. I thought that bed draperies are cool but that would block the view of my wall decor. 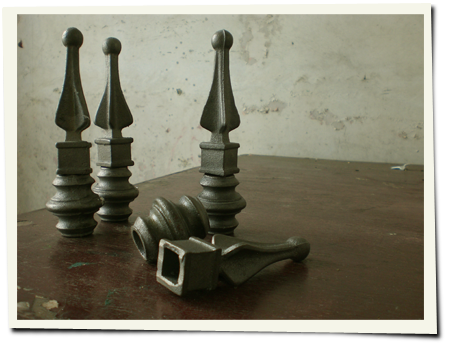 When I shopped for finials I had curtain rod ends in mind but I realize that the turned-wood finials are expensive - Php 560 a pair. So that's Php 1,120 for 4 finials. No way! And the common plastic finials looked boring. Good thing I found these wrought iron spire finials at Wilcon Builders. These iron gate/fence ornaments cost only less than Php 50 each. So these 8 pieces only cost Php 376. I attached them to the bed posts with steel epoxy. 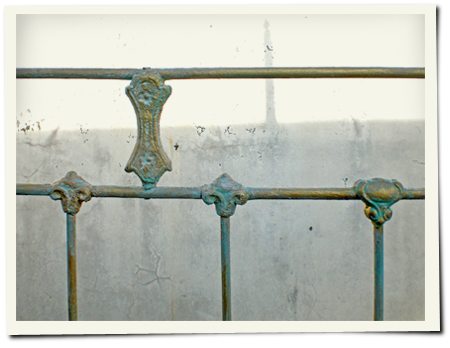 I wanted to compliment the look of the old bed so I decided to give it a patinated brass finish. First I spray-painted over the original worn-out white paint with gold. So how much did it cost to refurbish this bed? 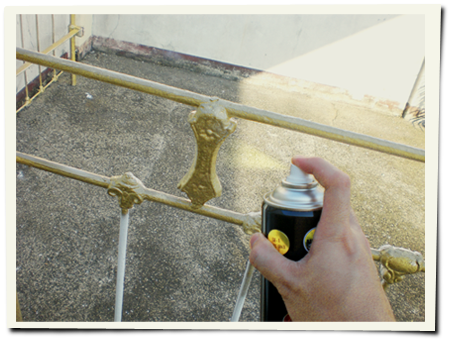 The new slats, the finials, 2 cans of gold spray paint, rubber footings - all for Php 3,270. I'm not going to show you a photo of the finished bed just yet. I still have get to new sheets and pillow cases to match my room's new color scheme. But the bed is already in my room and I'm glad that I don't have to sleep on just a mattress on the floor anymore. I had been since October last year when I started painting the floor.